Established in 1952 and located in L'Aquila, administrative centre of the Abruzzo Region, our University is a public teaching and research institution offering a full range of academic programmes including biotechnologies, sciences, economics, engineering, education, humanities, medicine, psychology, and sport sciences. 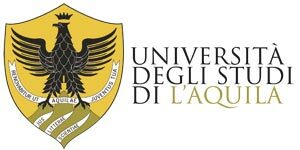 With 7 departments, the University of L'Aquila offers its over 18,000 enrolled students 65 degree courses (divided between first and second level degrees), 8 research doctorate programmes, specialisation schools, specializing-master courses and vocational courses. Many members of its distinguished faculty of about 600 professors and researchers have received international recognition and are considered leaders in their fields of research.